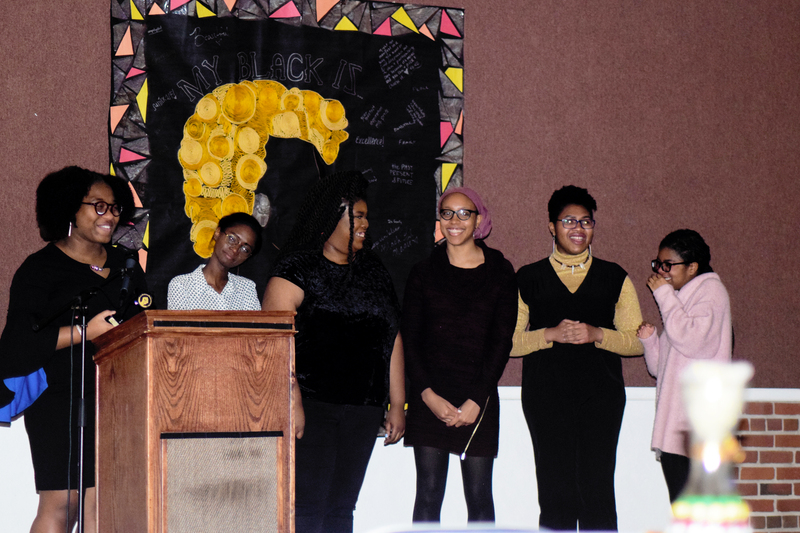 On March 1st and 2nd, Black Americans Demonstrating Unity (BADU) celebrated the end of Black History Month in dual events honoring black excellence and culture. The first of the two events was BADU’s first Awards banquet on March 1st,t which was catered by Winston-Salem restaurant Prime Tyme and given a donation by BB&T. The second of the events occurred on March 2nd, and was BADU’s fourth annual Black History Month Finale Show. The event was a stunningly beautiful display of black culture and excellence in the Winston-Salem community. The variety of performers in attendance included dancers, singers, poets and others celebrating themselves through music, movement and the written word. Among the variety of talented performers were Salem College’s gospel choir The Joyful Sounds, Parkland High School’s Dancing Debs, Voices of God’s Children, Salem Academy’s Modern Black Beauties, Kay-Kay Reeves, Kam Brower-Daniel, the African Student Organization’s (ASO) Afro-Dance Team, Sarah-Esther Belinga and the Ghost Ryders Step Team. In addition to the performances, Dr. Shawn Ricks gave a beautiful speech reminding those in attendance of the importance of “intergenerational celebrations of … history and culture [as] they remind us all of the role that the past [has] on the future.” Also, eleven-year-old non-profit owner JCB inspired the audience to dream, along with teaching her very own JCB dance. Featured businesses from the Finale Show included Carolina’s Vineyards and Hops, JCB Dance, Body and Soul, Chef J’Avia Scents and Crafts, Imkomezi Fashion, and Baleyera Boutique.